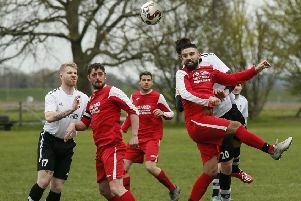 A youthful Kempston Rovers side recovered from a disastrous start to win 2-1 at Boston Town on Saturday. The 16 man squad had an average age of just 23. Kempston began poorly, were caught asleep after two minutes and found themselves a goal behind. However midway through the half they settled down and from then on dominated the game. Quality goals from Shane Bush and Dom Masala saw them to a 2-1 victory - they also hit the woodwork three times - and another three points on the road. Kempston now sit 11th in the table with games in hand on many of the sides around them. They host near neighbours Newport Pagnell Town on Saturday, December 27 when they hope to have several players back from the treatment table.